When Bangladesh's Rana Plaza factory building came tumbling down on April 24, over 1,129 people lost their lives. Among the thousands of grievously injured, many sacrificed their limbs after rescuers with zero medical training performed on-the-spot amputations—using butcher knives or hacksaws and no anesthesia—to free workers who were trapped under the rubble. In June, Associated Press photojournalist Kevin Frayer paid a visit to a group of women who were recovering at a hospital outside the Bangladesh capital of Dhaka. The resulting pictures, coupled with the survivors' horrifying stories, provide a haunting portrait of consumerism's dark side. Above, Laboni, 25, who had her left arm amputated when she was rescued nearly 36 hours after the building collapsed. 27-year-old Rikta, 27, who worked on the third floor of Rana Plaza, had her right arm amputated inside the rubble nearly 72 hours after the building came crashing down. Aroti, 16, who worked on the fifth floor of Rana Plaza, lost her right leg at the hospital after she was rescued 72 hours after the building collapsed. 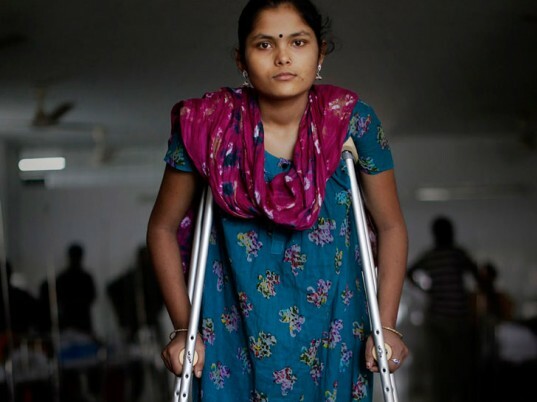 Sonia, 18, who worked on the sixth floor of Rana Plaza, had her right leg amputated after she was caught in the debris for 48 hours. 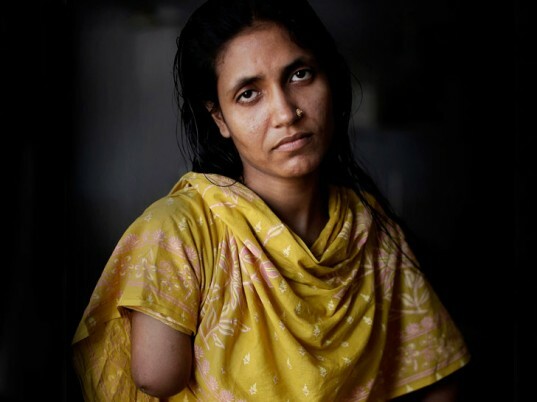 Mariyam, 30,who worked on the sixth floor of Rana Plaza, had her right arm amputated to free her from the rubble nearly 72 hours after the building collapsed. 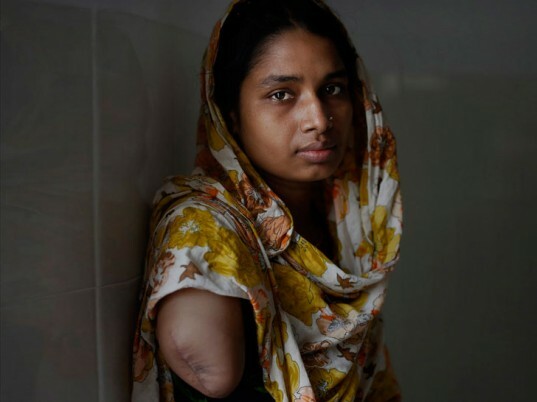 16-year-old Anna, 16, who worked on the fifth floor of Rana Plaza, had her right arm amputated when she was rescued 48 hours after the building imploded. Shahi Noor, 25, who worked on the sixth floor of Rana Plaza, had her right leg amputated on the day the building collapsed.